Most of us stick with a gym membership because we think it will be too expensive to build a home gym. 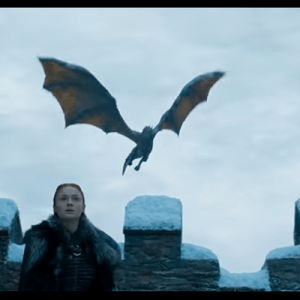 Here's why you're wrong and how to do it. Let’s face it, for most of us being able to build a home gym seems like it will only ever be a dream rather than a reality. Gym equipment is expensive, right? Well, yes. But you know what else is expensive? That gym membership you hardly use. Seriously, it adds up. A standard feature in many home gyms is a treadmill. But have you seen the price of most of them? That’s why you have to be clever about cardio. You can do that with a R50 rope, forget about spending thousands on a treadmill. Skipping rope is one of the most effective cardio exercises. According to a study just 10 minutes of skipping rope a day is comparable to 30 minutes of jogging. An aerobic step is one of the most versatile additions you can make to your home gym, you can use it as a cardio killer and then once you’re done with that use it to build strength (think push-ups, romanian lunges and hip thrusters). Plus, this step has a textured surface making it slip-resistant. Boxers and MMA fighters are some of the most ripped guys we’ve ever seen and we’re big fans of boxing workouts because of that. Seriously, you will hit every muscle with this 30-minute boxing workout. 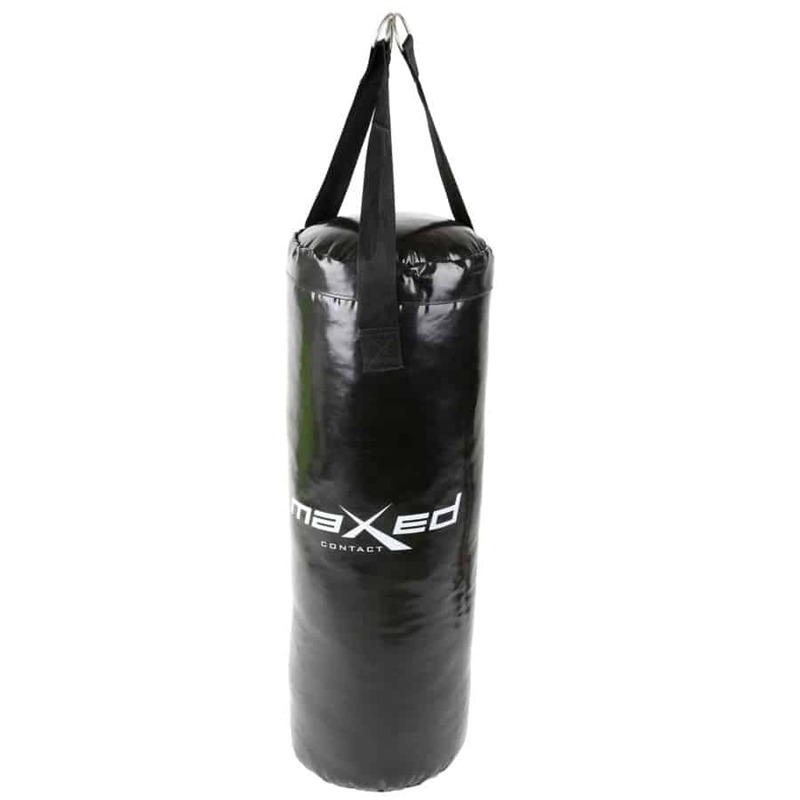 This boxing bag is durable and well-priced and will help you get that shredded core. 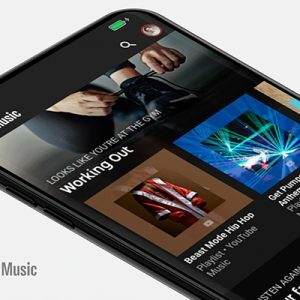 And the all-black look is a winner, too. 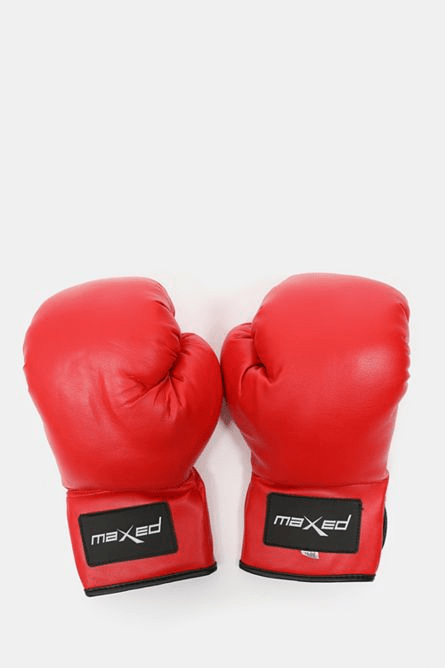 These training gloves are great for bag work, training and competitive boxing. They also have great ventilation and breathability so you can sweat it out without ruining your gear. Trying to work out without an exercise mat isn’t a smart idea. It makes home workouts painful and unenjoyable. 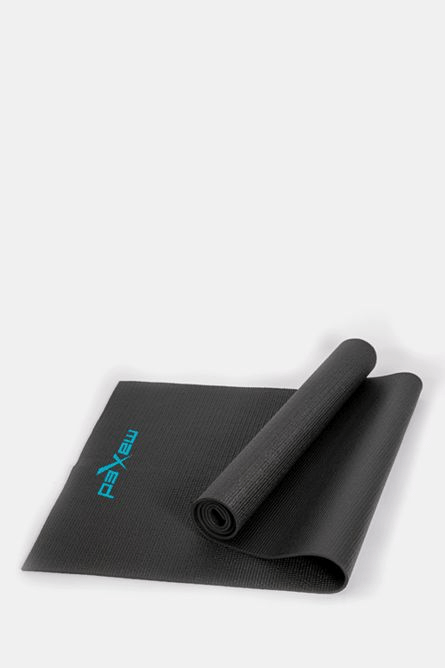 Exercise mats are a must if you want to build a home gym as they provide padding for your knees, elbows and spine. You don’t want to end up bruising your spine after one set of sit-ups. 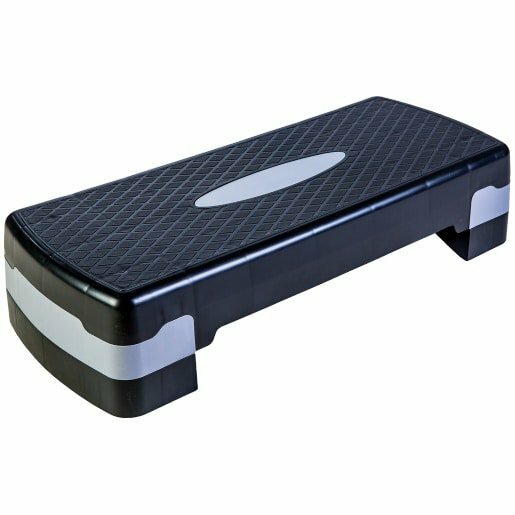 This one is 5mm, providing enough padding so you can work out on a floor and has a non-slip surface for stability and grip. 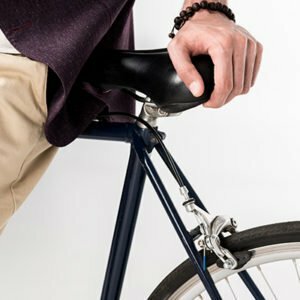 You’ll also get a carry strap for easy portability if you decide to take your workout elsewhere. There are entire workouts using only resistance bands, and that’s because they can make you work up a serious sweat. 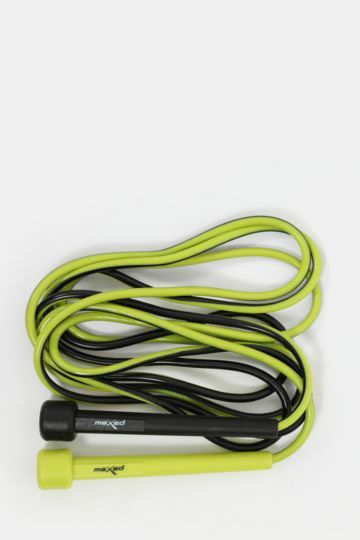 This power loops set comes with four different resistance levels (heavy, medium, light and extra light) so you can change them throughout your workout. 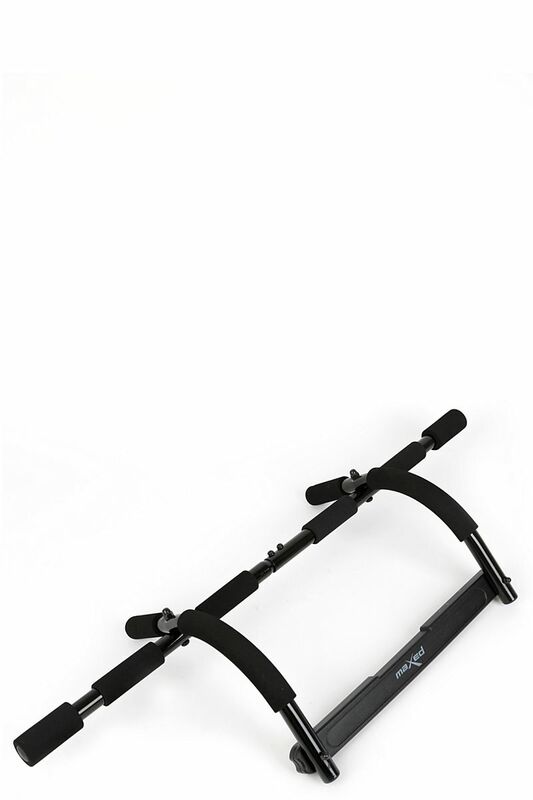 The TRX Suspension Trainer is a high-end full-body trainer that you could end up spending thousands of rands on. 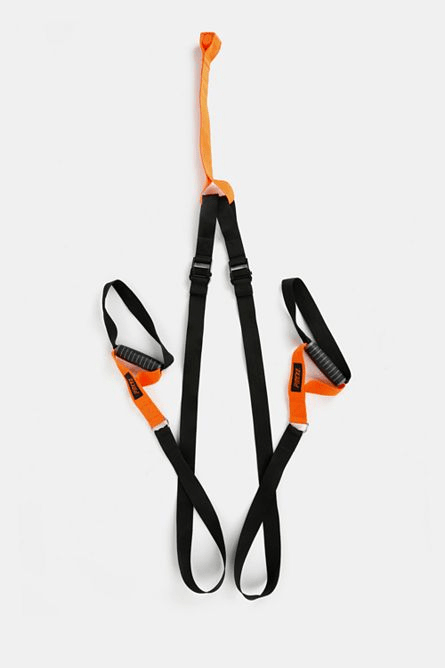 This door sling is an all-in-one, total-body workout system that you can set up in less than a minute at home, for a whole lot less money. It wouldn’t be a home gym without the presence of a chin-up bar. For a long time, if guys had one piece of equipment in their house, it was this. It’s an old favourite that allows for multiple grip positions to help develop multiple muscle groups. So you’ll build an upper body that will rival our cover guys. 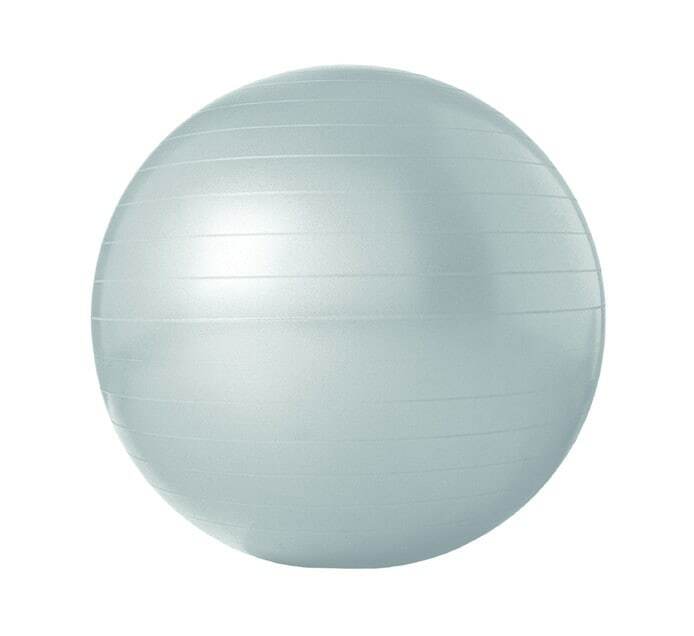 Exercise balls are often underrated. They’re great for a core workout, and improving your balance and stability, but you can use them for a whole lot more. Not convinced? Check out the 5 exercises you need to add to your workout, according to a biokineticist. Okay, so this is the biggest purchase (both in size and in price tag), but we think it’s well worth it, considering all you can use it for. 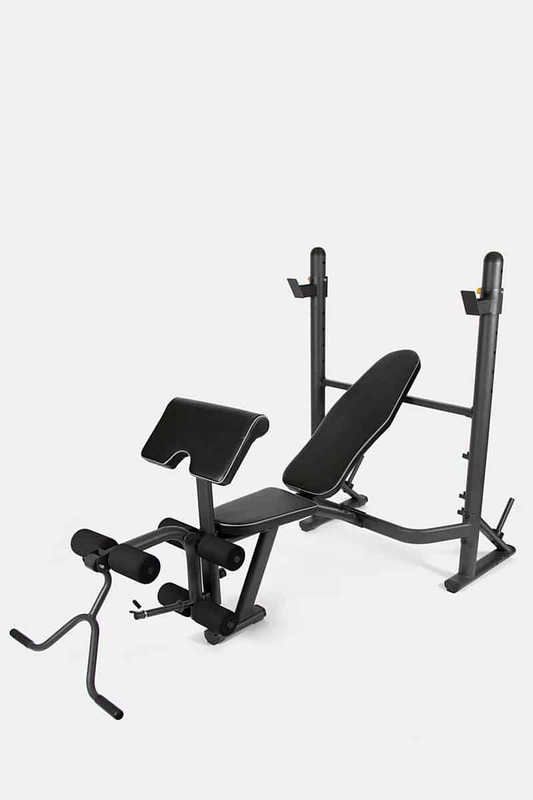 It has a fully adjustable backrest with foam padding, a barbell rack, soft foam rollers for comfortable leg support, safety spring clips and hooks and bicep curl bars. Plus, it also converts into a squat rack. It’s the ultimate value-for-money total-body trainer. You’re going to need some weights to bench, squat and curl on your new bench. This set comes with a total of 50kgs in weight plates and three steel bars and collars for securing weight plates. 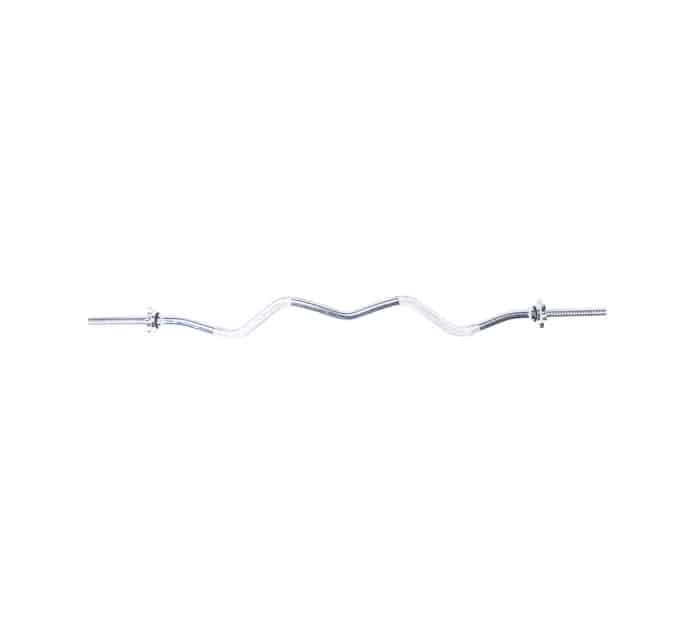 If you want to build biceps fast, then the EZ bar is your best friend. Made of strong steel, a spinlock and with a knurled handle for grip. This will be a great addition to the cast iron weight set above. 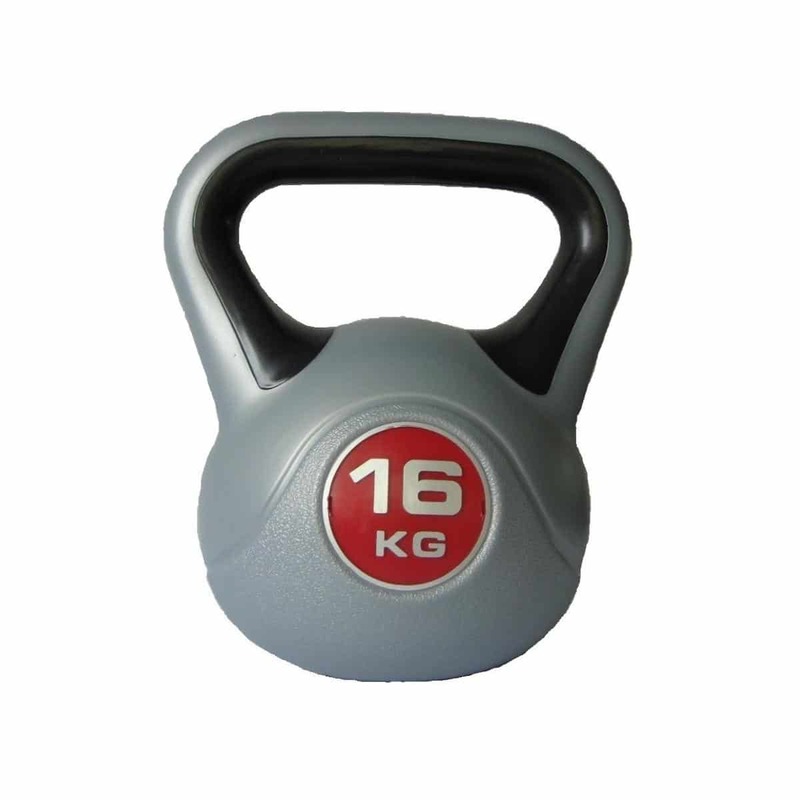 Here at MH we’re big fans of kettlebells because of their ability to burn calories fast and melt fat away. 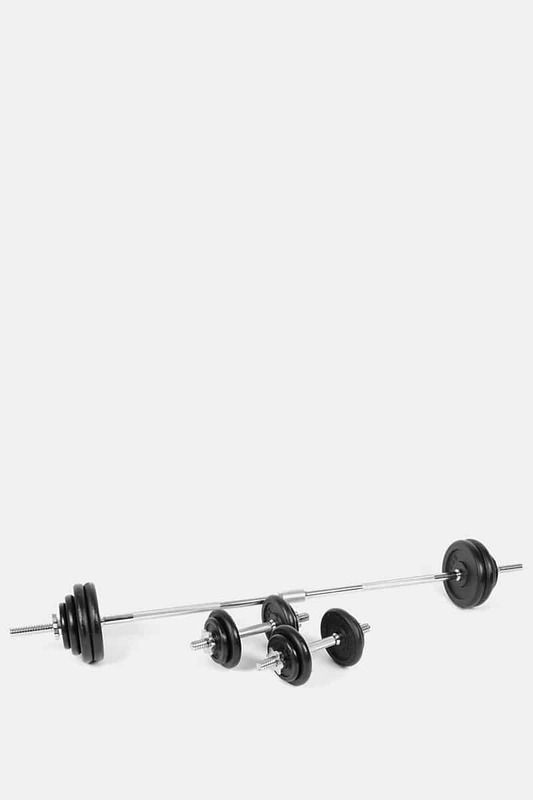 We’ve got a wide variety of workouts for you to take on so if you’re looking for some inspiration just search our website. You can start with the kettlebell workout that will give you better metabolic burn. Foam rolling is one recovery craze that is standing the test of time. 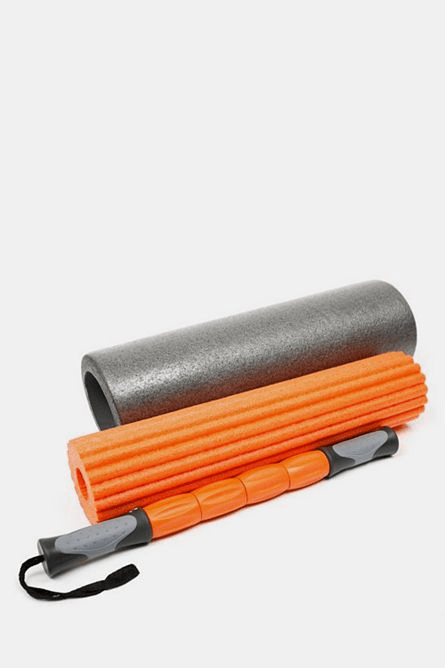 This 3-in-1 yoga foam roller has a high density foam roller, a massage foam roller and a massage stick. Best part? They all nest inside one another for compact and easy storage which is ideal considering most people won’t have tons of extra space to build a home gym in. Not sure where to start when it come to foam rolling? Check out these 5 ways to kill the pain in your body caused by your workouts. If you’re not taking time to do yoga by now, you should be. Yoga and mindfulness are one of the biggest trends for this year. If you’re a beginner or you’re just not the most flexible person, adding a yoga block to your yoga routine can help you achieving different poses without straining or over-stretching. You don’t need anything fancy, this one is a classic in most commercial gyms. Myofascial release claims to treat pain and immobility by relaxing muscles that are contracted and stimulating your stretch reflex in your muscles. 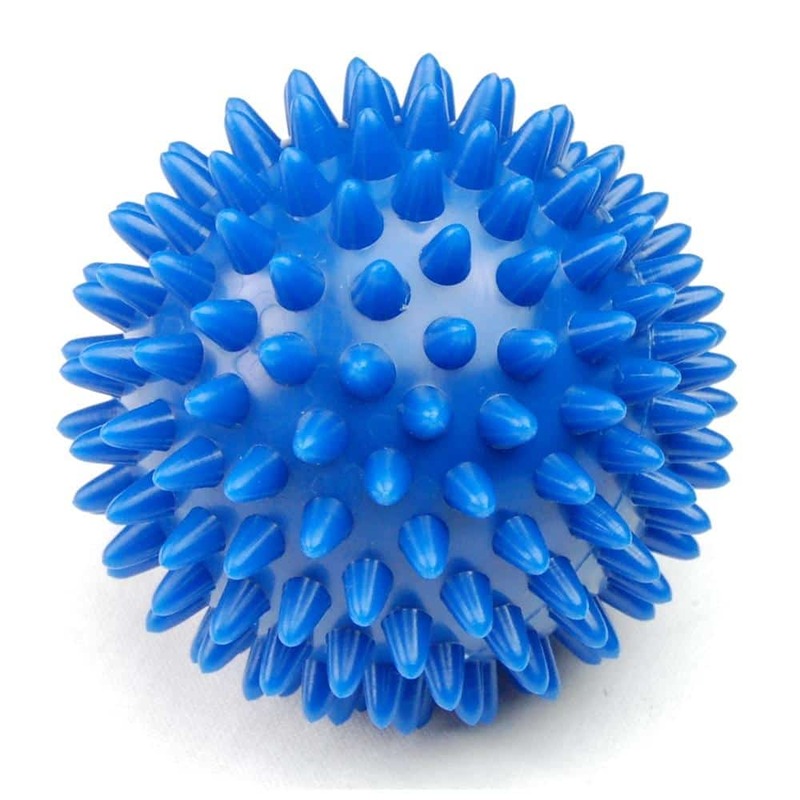 This ball helps with that by massaging away muscle tensions and improves blood circulation. 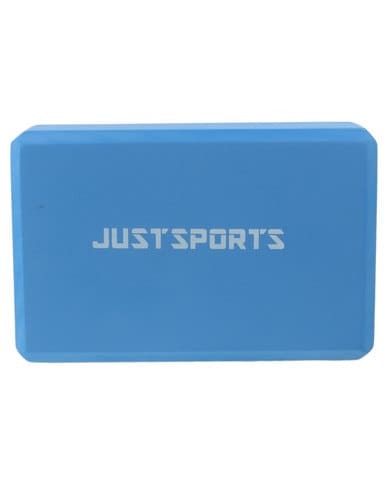 And it’s small enough to take with you anywhere if the DOMS get too much. No workout is complete without some motivating music. 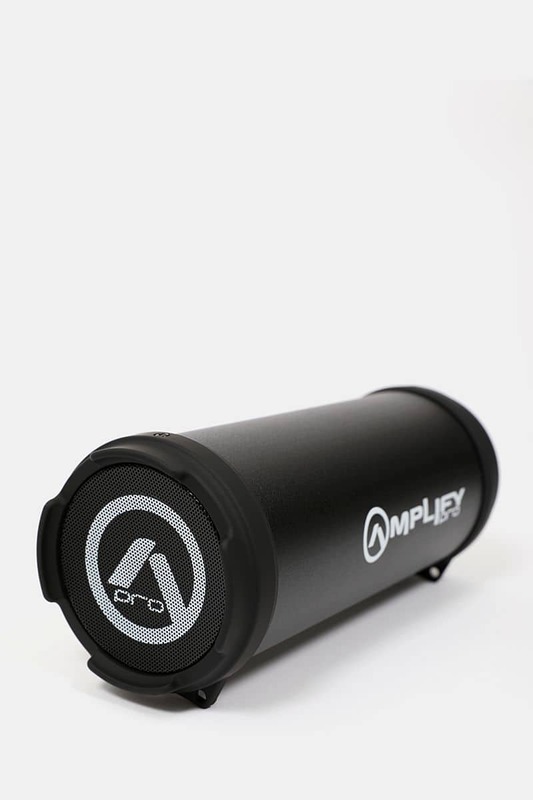 The Amplify Pro Shout Series Mini Tube Bluetooth speaker has fully portable audio via Bluetooth connection, FM Radio, a Micro SD card or a 3.5mm Aux audio jack input, and allows for up to 6 hours of playtime with a range of up to 10m. It’s an affordable speaker to keep you going even through your last set. And don’t worry about the playlist, we’ve got you covered. 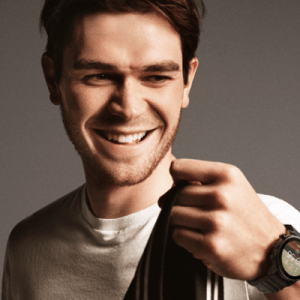 Check out this ultimate MH workout playlist to boost performance from six personal trainers. 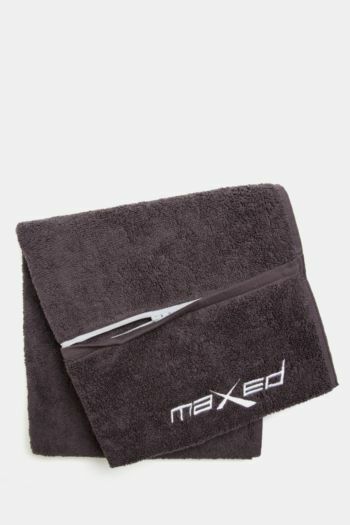 Sweat it out in your home gym with this soft, durable and absorbent gym towel. Bonus? 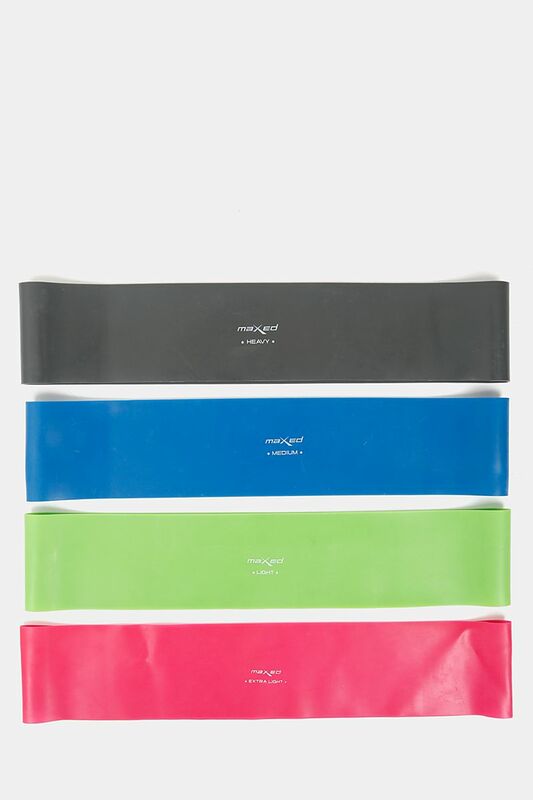 It has a zip pocket for your essentials if you do decide to take your workout elsewhere. 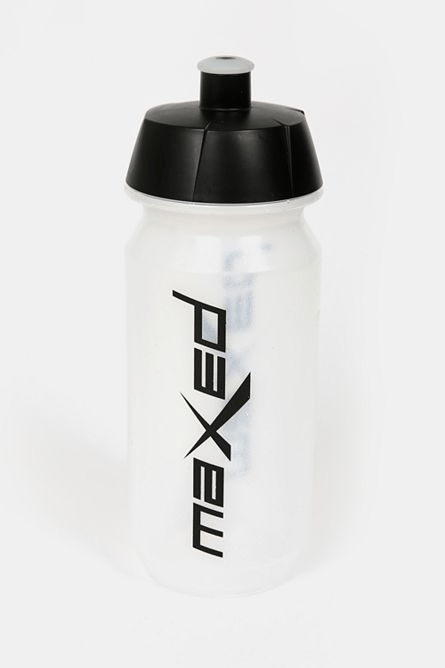 Staying hydrated whilst you’re working out is an essential and having a good water bottle is important especially if you’re adding BCAA’s or creatine to your water. This 600ml water bottle is also BPA free. The only thing worse than not being able to have your protein shake after your workout is having a lumpy protein shake with undissolved clumps of powder. 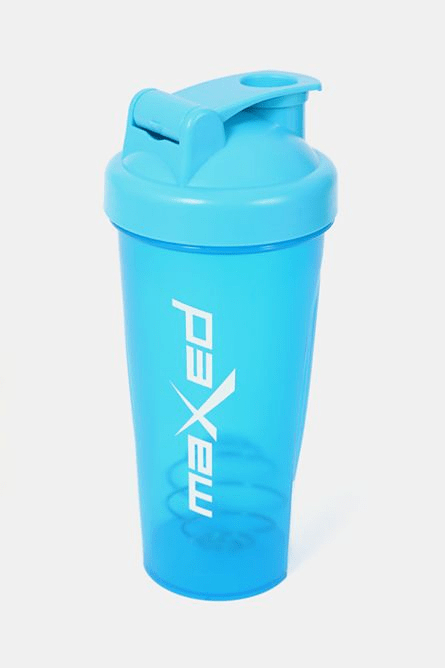 This shaker with screw-on-top, pop-up lid and a steel spiral ball takes care of that. And after all that, you’ve built an entire home gym for less than a year’s gym membership. Seriously, you have R29,33 to spare which means you could treat yourself to a post-workout Rush Training protein bar (Buy It Here) and still be under. 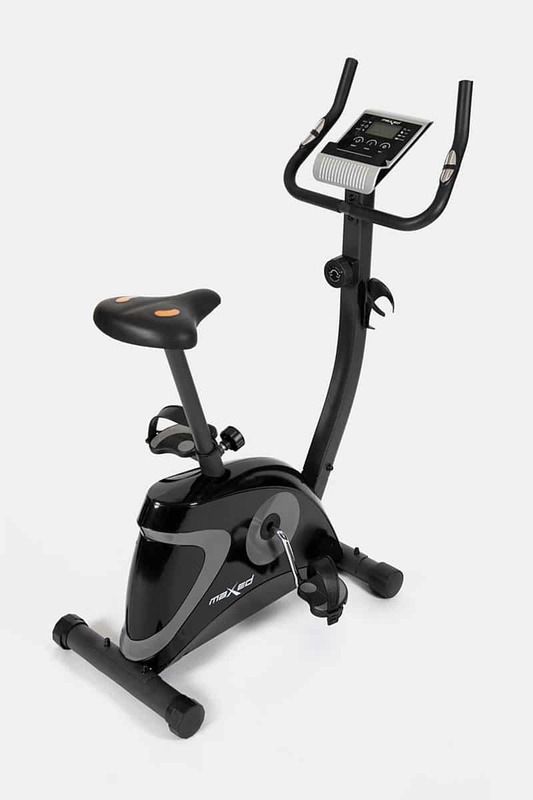 And if you’re more of a cardio fanatic, you can even add on or sub in this exercise bike below – it’s great value for money. Although there are a lot of additions you could make to you home gym, this is a great start. Looking to transform your body? Meet Coach Trevor Lagerwey. He’s put together the ultimate workout plan to get you ripped this summer. We’ve also got the best nutritionally-sound eating plan for your time and money. All you need to do? Sign up at speedshred.co.za and put in the hard work. In just 12 short weeks you’ll be looking at the dream body you’ve always wanted!